Rabbi David Ashear, is the mechaber of the well-known "Living Emunah" series published by Artscroll. Rabbi Ashear received semichah from the renowned Rav Dovid Feinstein Shlita under the Yad Yosef Kollel. He currently runs a yeshiva program in Yad Yosef for post-high school and leads a young adult minyan on Shabbos. 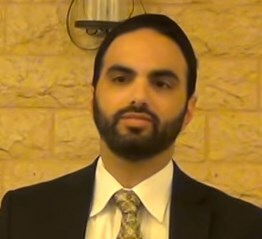 Additionally, he reaches emunah at Shaare Binah Seminary and is a sought after speaker in the Syrian Sephardic community. Rabbi Ashear has been Maggid Shiur Daf Yomi for almost ten years at Congregation Beth Torah.